TV with Thinus: 'THE DUMBER THE BETTER'? 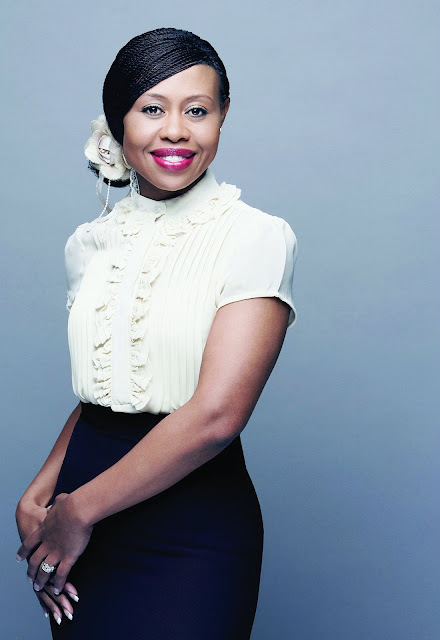 Broadcasting Complaints Commission finds that 702's Redi Tlhabi is allowed to criticise and call the government stupid. 'THE DUMBER THE BETTER'? Broadcasting Complaints Commission finds that 702's Redi Tlhabi is allowed to criticise and call the government stupid. Radio woman Redi Tlhabi is allowed to critise the South African government and can say that when it comes to government leadership it looks like a case of the dumber the better. In a case brought before the Broadcasting Complaints Commission of South Africa (BCCSA), it ruled that Redi Tlhabi and talk radio station 702 has the right to give her view in an open, democratic society. A listener, Esethu Hasane, spokesperson for the department of sport and recreation, laid a complaint against Redi Tlhabi after an open call-in segment on radio 702 in late January – the type of open line call-in's now incidentally banned by the SABC for listeners who want to talk politics. Redi Hasane, a university graduate working in government, told the BCCSA that Redi Tlhabi's comment was offensive, condescending and degrading to the dignity of the complainant. He said "commentators get away with many things in the name of criticising president Zuma. They make a living of criticising people but don't want to be critisiced". Redi Tlhabi did the call-in segment after president Jacob Zuma's shocking firing of Nhlanhla Nene as finance minister. She referred to Zuma's statement in December 2015 in Mpumalanga that "the people should not pay attention to people who talk too much on television because educated black people think they are clever". When a caller asked Redi Tlhabi why the South African government doesn't consult intellectuals, Redi Tlhabi said that "they are intimidated, they told them they are clever blacks and because somehow clever people are dangerous to leadership, the dumber the better". "I think they are there, they're writing, they're speaking, they're joining protests, and all of that and of course we have an anti-intellectual leadership". Hasane took offense but the BCCSA found that Redi Tlhabi's show is "aimed at sophisticated, intelligent members of the public who are likely to know, understand and appreciate" that her comments are often provocative and argumentative. Esethu Hasane lodged a case at the BCCSA, saying Redi Tlhabi's comments suggested that there is an absence of intellectuals in the leadership of the country and that "the dumber the better" is the requirement to be in that leadership. "It can't be okay for a radio host to say 'the dumber the better' about the leadership of our country like it was not okay for that eNCA anchor [Andrew Barnes] to mock the minister's pronunciation of an English word. I would imagine that if Redi was a white lady, she was not going to get away with saying that the leadership of our country is dumb". The BCCSA found that "Redi Tlhabi's comments may have been offensive and elitist but the fact of the matter is that the Constitution guarantees her freedom of expression to receive or impart information or ideas". "Inasmuch as Hasane has a constitutional right to freedom of expression, so too does Redi Tlhabi enjoy the same right". "The right to freedom of expression is not dependent on the dissemanation of acceptable or rational ideas only; indeed it extends to opinion or views that might be anathema to those who occupy influential positions in society or in institutions," the BCCSA found. The BCCSA found that the Redi Tlhabi's 702 programme did not contravene the Broadcasting Code and the complaint was not upheld.